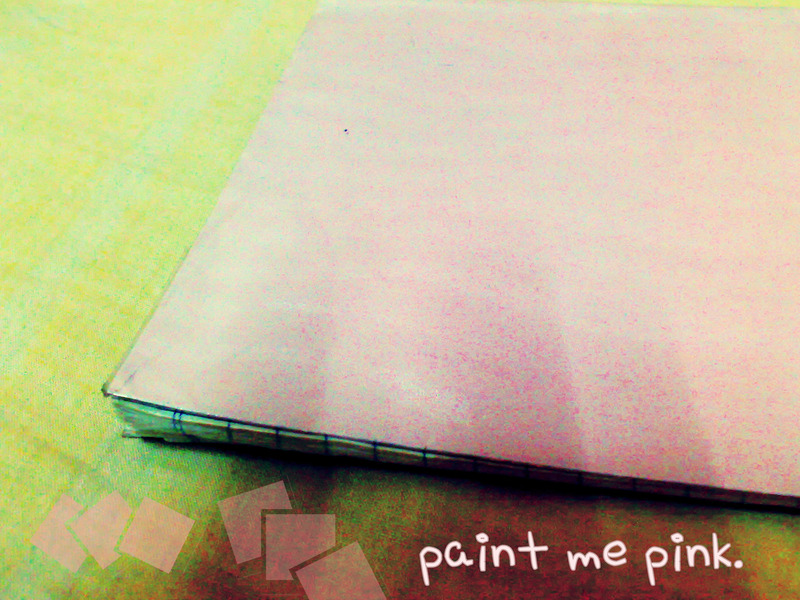 During one of those rainy afternoons when it was just so nice to curl up in bed and reminisce, I found myself going back to this pink notebook which I had been keeping since the latter part of 2008. I found myself leafing through its ruled yet muddled-up pages. And I caught myself smiling as I went through all the doodles and dreams, the angst and tears, the bursts of extreme emotions and the nuggets of pure wisdom. There’s really nothing special about the notebook. It was just some extra exercise book which was lying around the house at the time. I wish I could say that it’s one of those pretty ones with the dainty stationery-like pages, but it’s just some plain, lined, cheap book that was THERE when I needed to release those first few rounds of pent up, unexplainable emotions. I was smiling when I read that first portion. Chuckling when I read through the rest of the entry as well. It was really funny. The whole thing spanned through ten whopping pages. Ten pages of Mari rambling on and on about how complicated love was and how complicated it seemed at that time to fall for a certain complicated person. The pages that followed were filled with more Mari ramblings, released during moments of lovelorn emo-ness. Yikes. I guess this whole thing would come as a shock to people who see me as sane and level-headed. But the truth is, when I feel, I feel. But yes, a lot of the notebook’s entries still ended with me telling me to get a grip on myself. And getting a grip, I am. The notebook’s all filled up now. I might buy a new one soon, but I’ve been pretty sane and level headed these past days. Well, I think I’ve been. I hope I’ve been. Yes. No. Maybe. What a journey. What a story. This story – greater than fairy tales, far too glorious for books to contain, and better than all of my dreams put together – is still yet to unfold. Inspiration comes from the most unexpected places, often during the most surprising times of the day. Today’s came from the office of the School of Linguistics. It crept up upon me while I was waiting to be entertained by the Puans , Ciks, and Enciks* behind the counter. What on earth was I doing at the School of Linguistics? Let me backtrack a bit. I went to the School of Linguistics this afternoon to ask for my English Placement Test result. It was already one year delayed and I needed to submit it to my faculty ASAP if I wanted to write my thesis in English**. When I got there, the Encik behind the counter told me to wait for a little while because the Puan in charge wasn’t feeling well and would be in after 10 minutes. I, haggard from having to ride the bus across Za’ba to PPS, then from the PPS back to the School of Linguistics, asked if I could wait for her in one of those big comfy blue chairs at the corner of the room. The Encik said that I could. I felt like I hadn’t done anything but wait that whole afternoon. After class, I had spent a considerable amount of time waiting at the FTSM bus stop for the BUS U to arrive. After the bus took me to PPS, I had to wait again for the counters to open up. And when they told me that they couldn’t assist me, but that the School of Linguistics could, off I went to the PPS bus stop to wait for another bus to take me back to the other side of UKM. Oh well. At least the Linguistics office was accommodating. 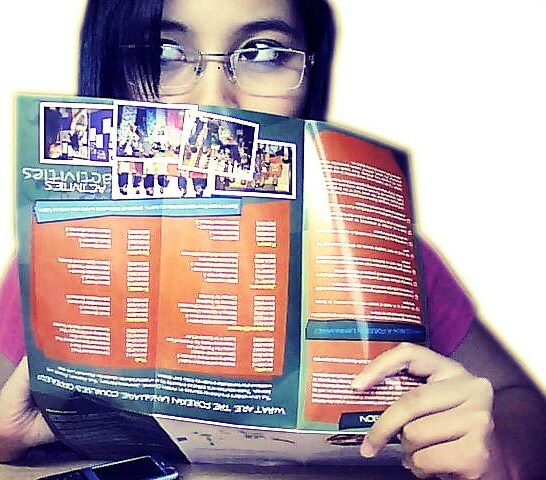 I tried to pass time by reading some brochures I found in one of the nearby racks. She was an Indian Malay. At first I didn’t realize that she was one of the lecturers there. She didn’t head off to the cubicles, so I assumed that she was a visitor like me. I assumed wrong, because a few minutes later, two girls, an Indian and a Bumiputra, came and handed to the woman what I believe was their assignment. Okay. Visitor she was not. So lecturer and students got on to talking about marks and about the Hari Raya and a whole lot of other stuff. And then a few moments into the conversation, they started talking about some family problems that one of the girls was having. The truth is that I didn’t really mean to eavesdrop. But then they were talking loudly enough for me to hear and understand. And they were speaking in English. If they were talking in Bahasa Melayu, I would have had no trouble tuning them out. But in a way, I was glad to overhear what I happened to overhear. That melted me right there. I mean, if I could cry in those big blue linguistics chairs, I would have done so. I really would. The whole thing just brought me back to my room at ICS C-117 and reminded me of my heart, of one of my greatest passions and desires – teaching. What I would give to have been in that lady’s place, to have been the one receiving the assignments, to have been the person giving out those encouraging words. But like waiting for those buses to come, like waiting for the Puan to arrive, I’m still here, waiting for my turn, until I could finally teach, equip, and inspire once again. Yet I’m grateful to have overheard that conversation. Because it showed me that even if you’d try to turn me inside out and upside down, you’d find that I’m still really that teacher at heart. After the students left, the lecturer got up and smiled at me. “Are you Malay? Indonesian?” she asked out of the blue. “Okay.” And then she left and headed off to her cubicle. I wanted to hug her and thank her for reviving my desire to teach. I wanted to thank her for inspiring me. But I couldn’t do that. I left the Linguistics office soon after holding my EPT results and certification. Soon (Oh God, let it be soon), I’ll be leaving UKM holding my Masters diploma. Watch out world. An inspired teacher is heading your way. *Puan is the Malay counterpart for the title Mrs., Cik is used for Miss and of course, as you would probably guess, Encik is the counterpart of Mister or Sir. **Uhh, saya boleh cakap bahasa melayu sikit dan saya juga boleh menulis sikit-sikit lah, tapi – comeon! Saya tak boleh menulis tesis saya dalam bahasa melayu!